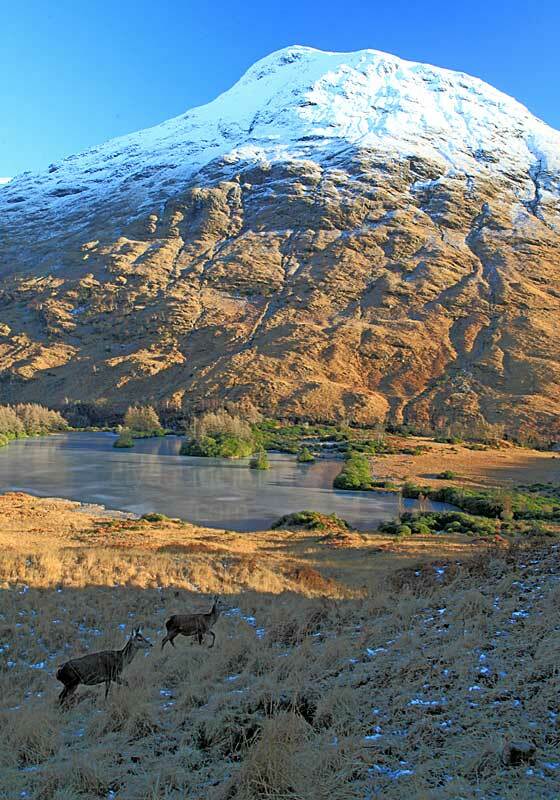 Fjord-like Loch Etive stretches inland from the coast at Connel, just north of Oban, for over 30km heading initially eastwards with the terrain becoming increasingly mountainous after it takes a sharp turn and continues northeast towards Glen Coe. 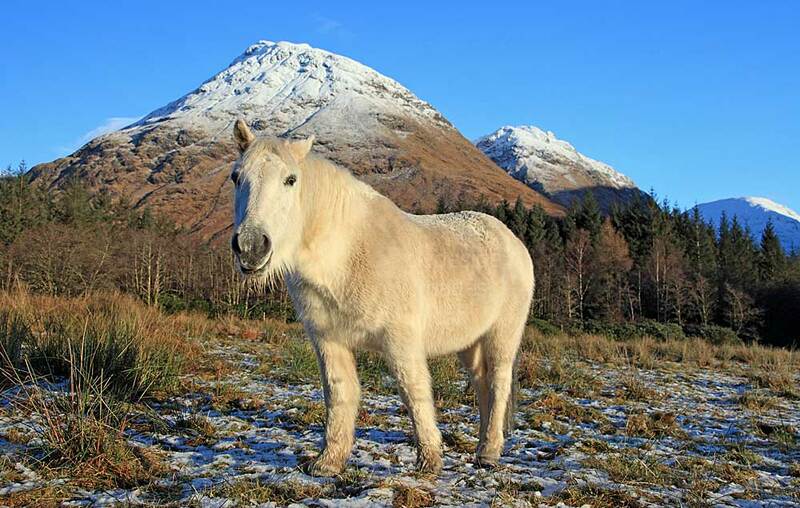 The loch is one of Scotland`s finest and although the main A85 Crianlarich to Oban road runs along its southern shore there is little habitation elsewhere with only relatively short stretches of single-track road accesible to the motorist. 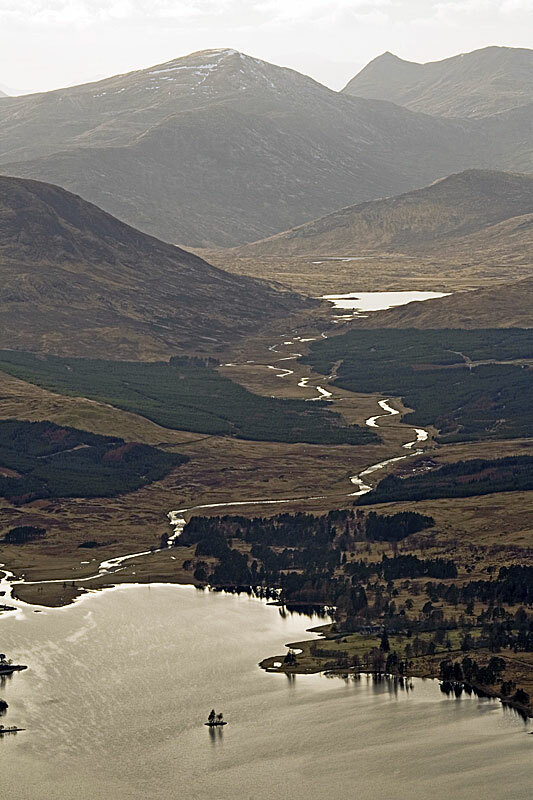 Paths on both sides of the loch continue where the roads end and allow visitors to explore on foot. 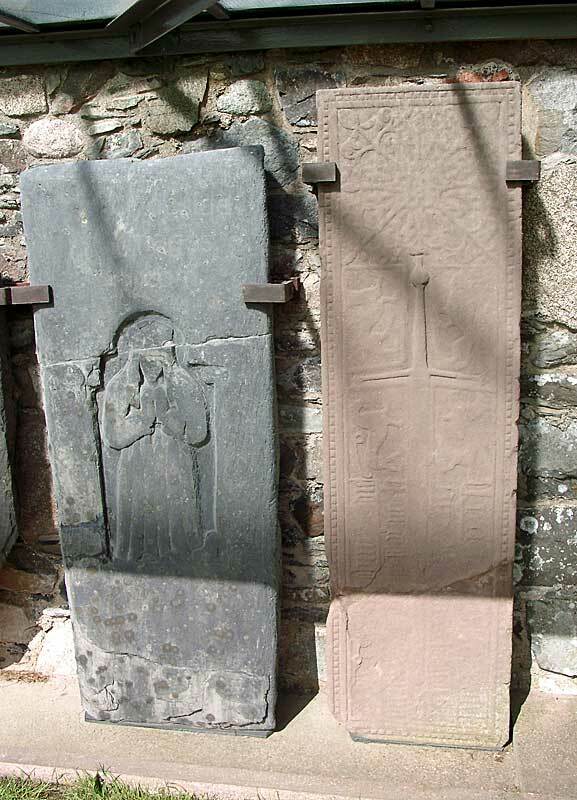 ​Bonawe Furnace, founded in 1753, is the most complete charcoal-fuelled ironworks in Britain and is currently under the care of Historic Scotland. The property is open to the public between April to September and displays explain the industrial heritage of the area and illustrate how pig iron was made. In its heyday, the furnace employed up to 600 people, most of whom were engaged in collecting wood from extensive local forests and making charcoal to process the iron ore which was imported from England. In 1805 around 42,000 cannonballs were produced at Bonawe, some of which were eventually used against the French and Spanish at the battle of Trafalgar in 1805. The furnace remained in operation until 1876. 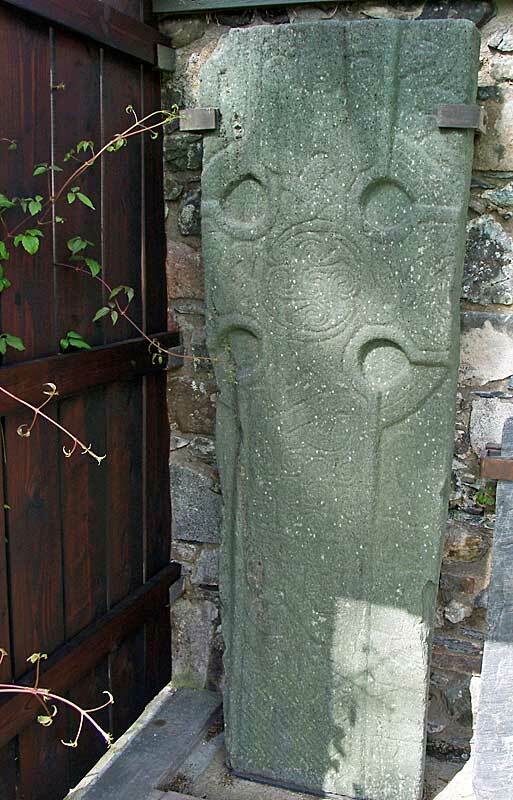 ​On the the opposite (north) shore of Loch Etive at its south end, the ruins of the small chapel beside Ardchattan Priory are worth a look. 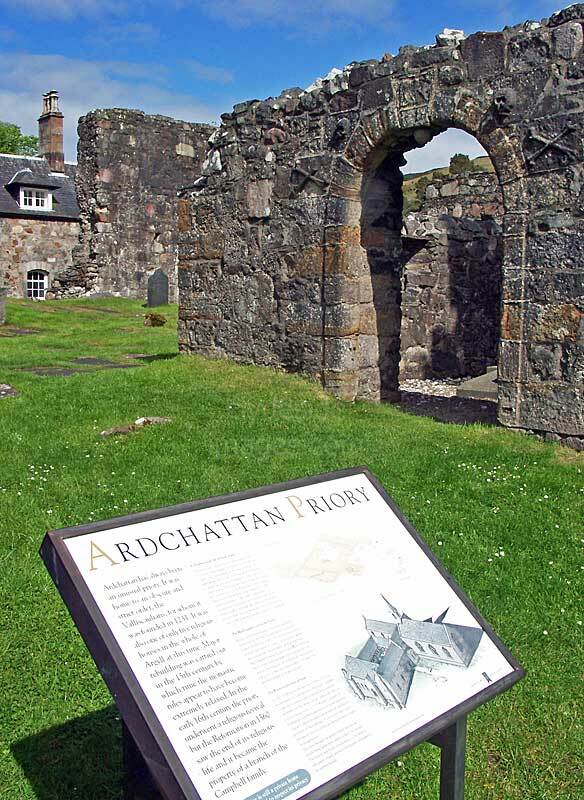 The priory was founded in 1230 by Duncan MacDougall, Lord of Argyll and it is said that Robert Bruce held a parliament here, the last time that Gaelic was spoken at such an event in Scotland. 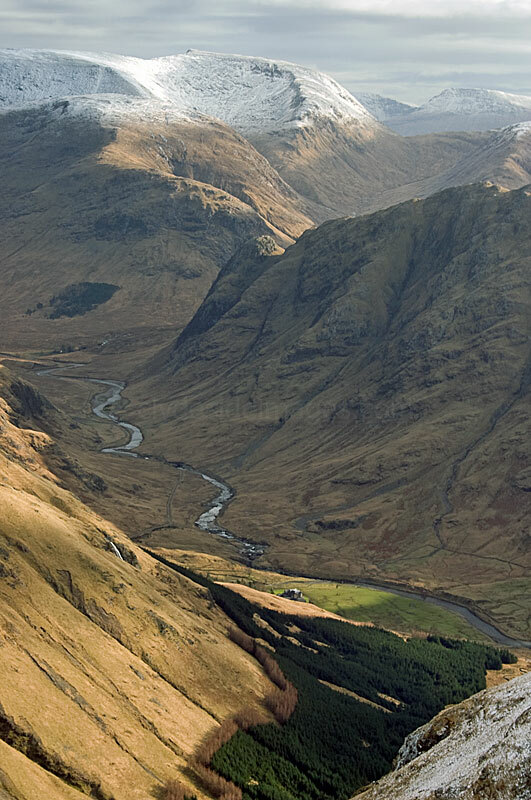 I`ve included Creise in the Black Mount section although it stands to the east of the Glen Etive road at its north end, close to the A82. 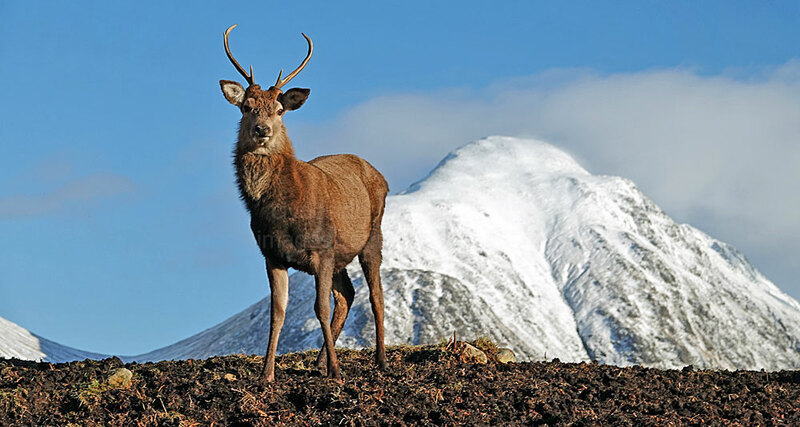 The Red Deer is Britain`s largest native land mammal, most numerous in Scotland, although there are isolated populations in England with a few small herds in Wales. 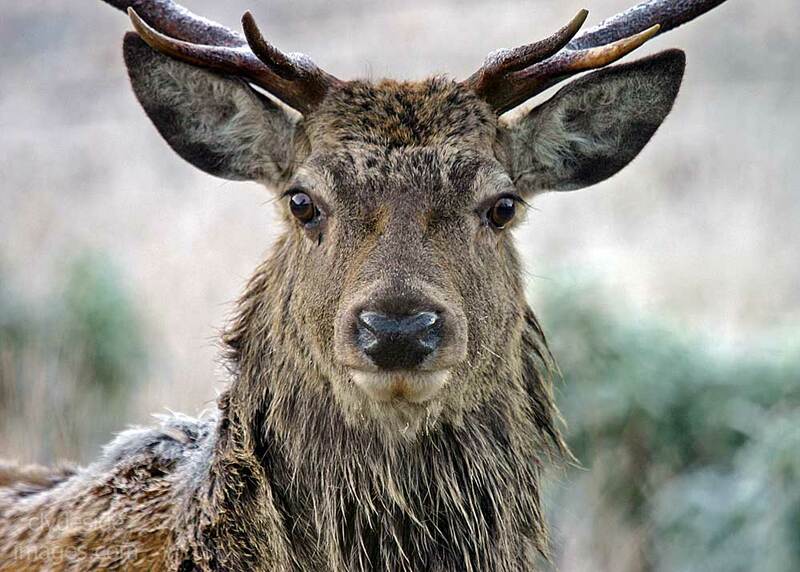 Although the red deer is associated with rugged mountain terrain, it was originally a woodland animal until the vast forests that once covered the land were cleared by man. In summer the animals will generally be found on the high ground where the insects are fewer and the air is cooler, however, their preferred environment is actually woodland. As a result, and the fact that deer have no natural predators, damage to trees is a major problem and large areas have been fenced to deny them access. 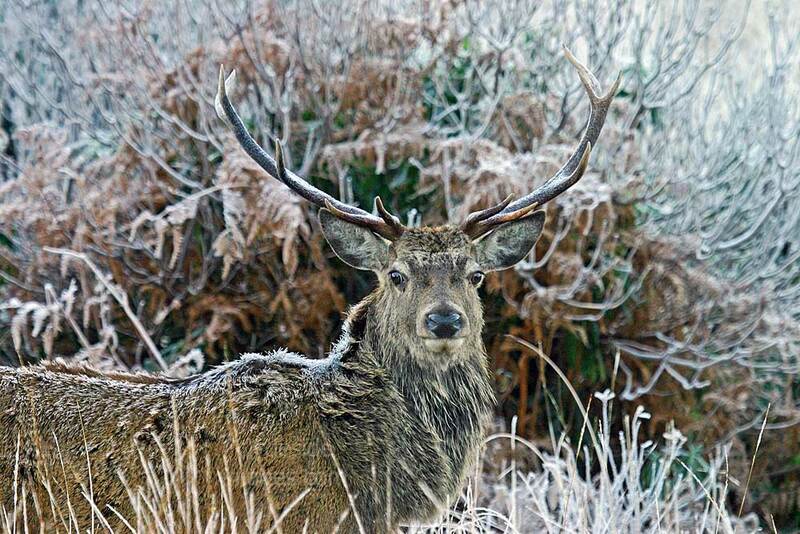 In winter Red Deer will keep to the low ground, often right down by the roadside ready to forage on croft land and crops if available and the Glen Etive road is an excellent pace to see these animals at close quarters during this time. 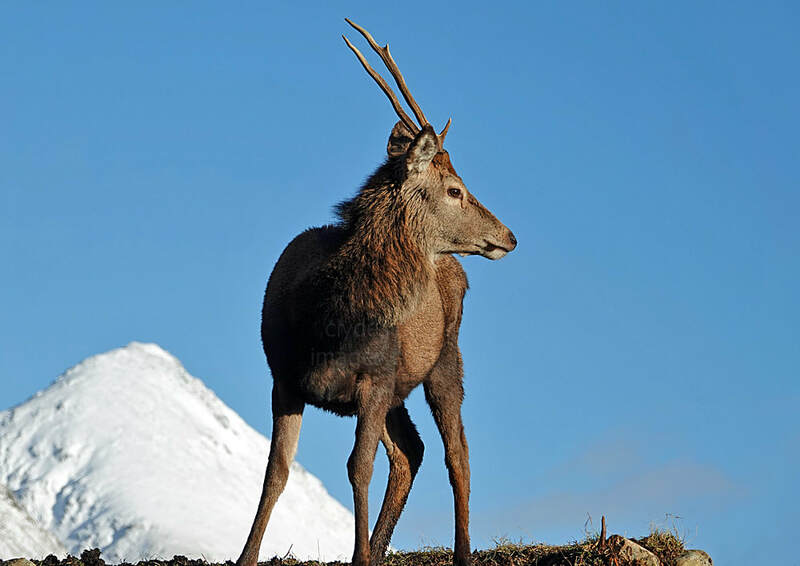 For ten and a half months of the year stags and hinds remain in separate herds, apart from really young stags who usually stay with their mothers for the first two or three years. Hind herds are the larger and can often contain several hundred beasts. 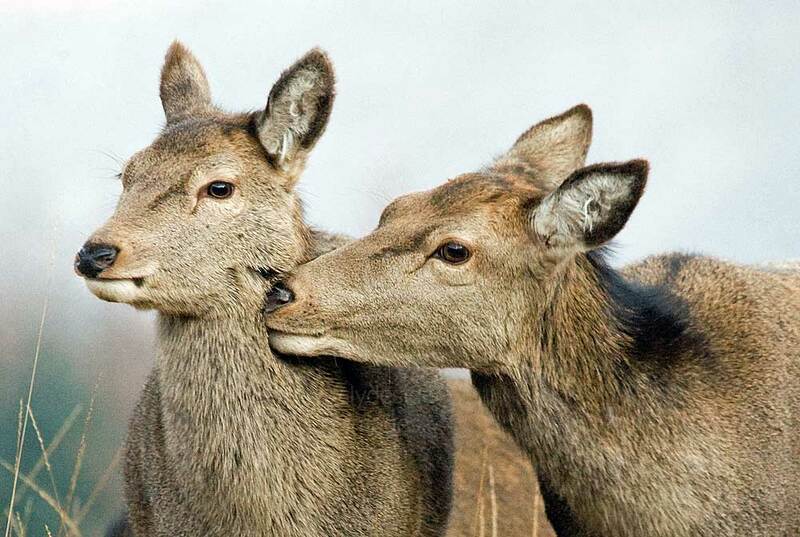 The rutting or breeding season occurs during September and October. This is when the majority of the stags make their way to hind grounds. 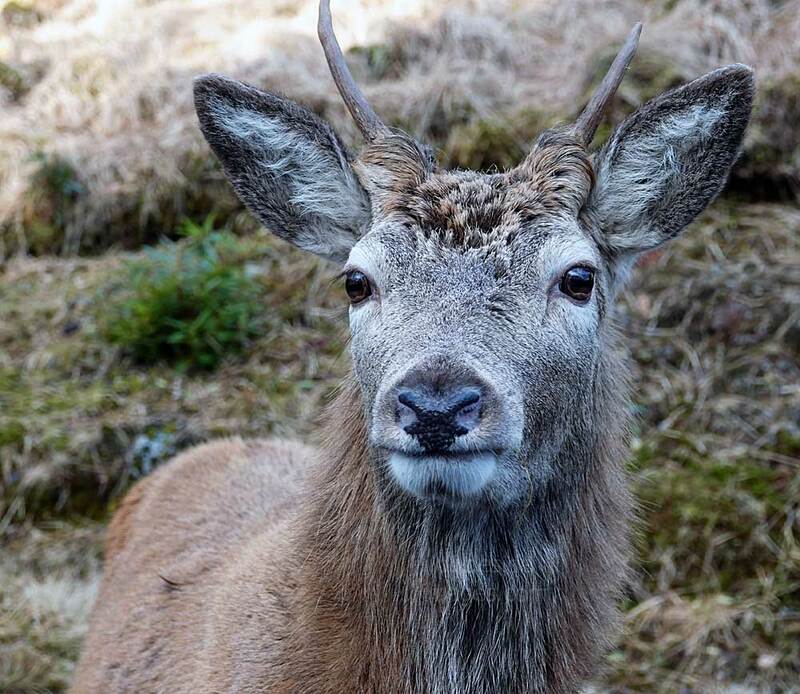 Some stags wallow in peat dubs, not just as relief from heat or insects including any late season midges, but to make themselves darker and more intimidating to rivals. It`s not always the biggest male who wins the prize - if a stag comes to the rut and gathers his hinds too early, a constant procession of challengers will try their luck, and the energy-sapping sentry duty will prove too much for many. Contrary to popular belief, fights to the death are rare and most encounters are settled by roaring and some antler-sparring. 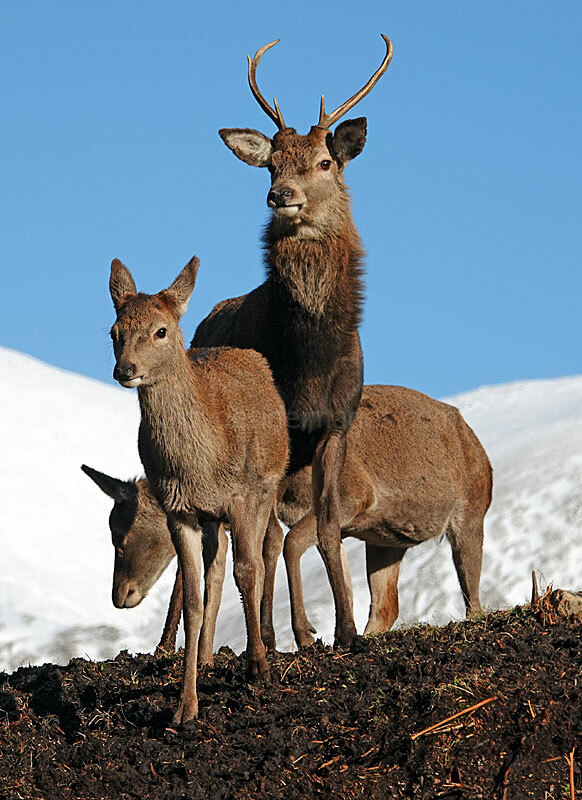 Once the rutting season ends, usually late October or early November, the animals resume their lives in separate companies. 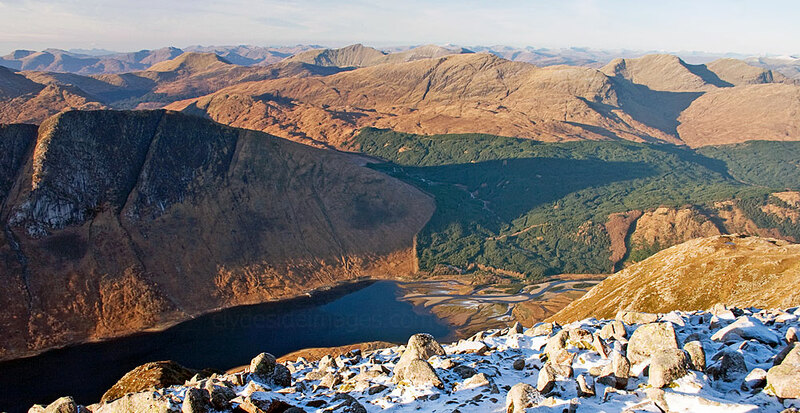 Bidean nam Bian, Buachaille Etive Beag and Buachaille Etive Mor refelected in an icy lochan in Glen Etive. Ice on the River Etive. 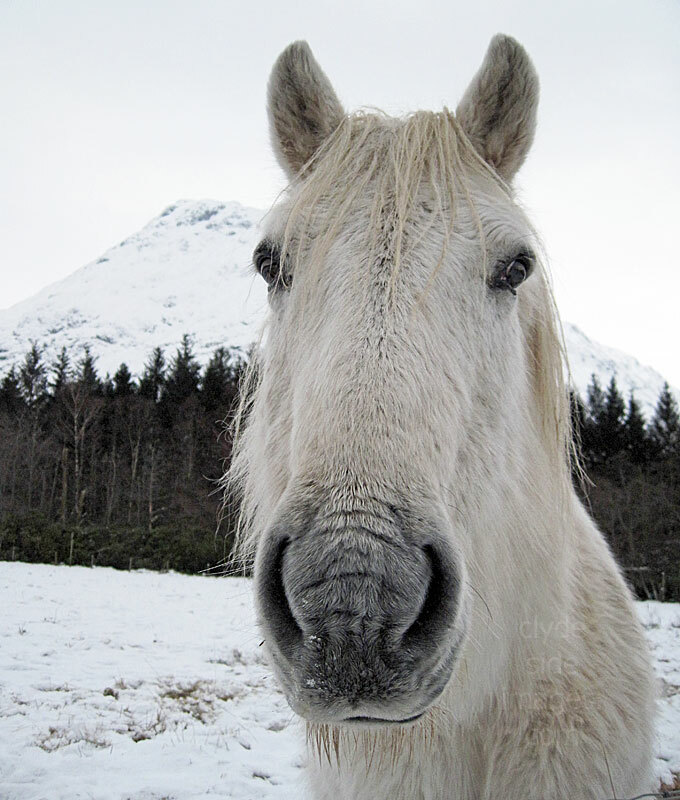 The local stalkers` ponies are always up for a few mints, especially when there`s snow on the ground! 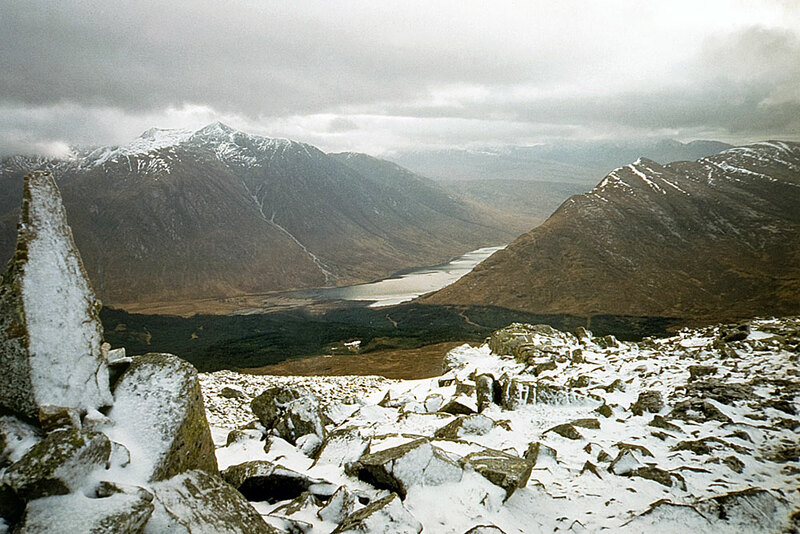 Ben Starav from the head of Loch Etive. Unfortunately quite a cloudy day. 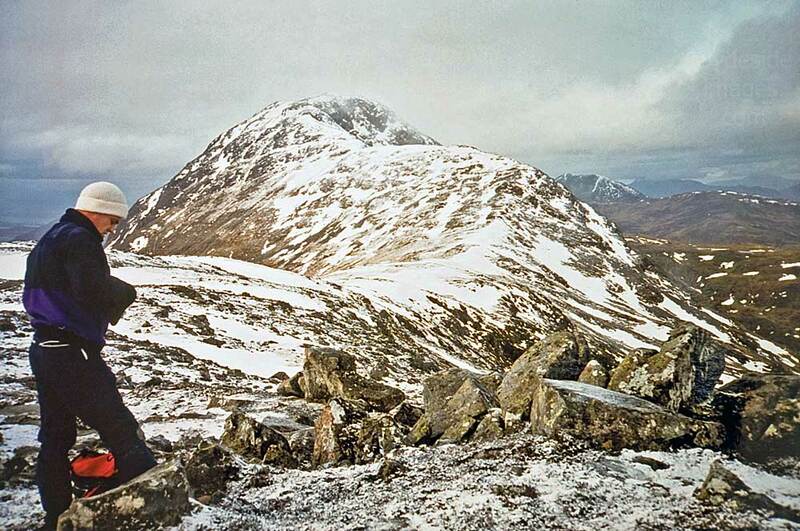 The effort slogging up the north-west ridge was in vain with no view whatsoever from the summit. Leaving Starav`s southernmost subsidiary top for another day, I continued along the main ridge and took in Glas Bheinn Mhor. It was only on the descent, when I reached the corrie at the head of the Allt Mheuran, that I dropped below the cloud base. 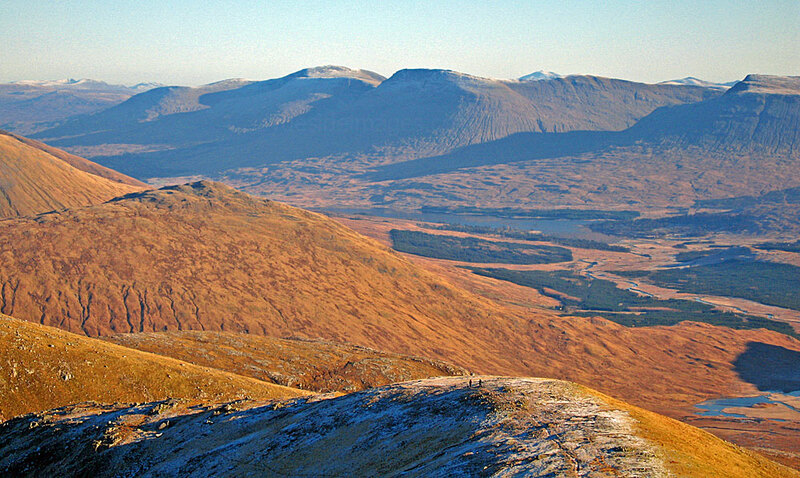 A friend Davy B and I both climbed this Munro for the first time on the above date. Once clear of the forestry, it was a steady climb up and along the ridge, and despite the wind and snow showers scudding across, we both enjoyed our day out. I also made a solo climb of this hill a couple of years later, in July but didn`t record the exact date. These shots are scans from 35mm slides. 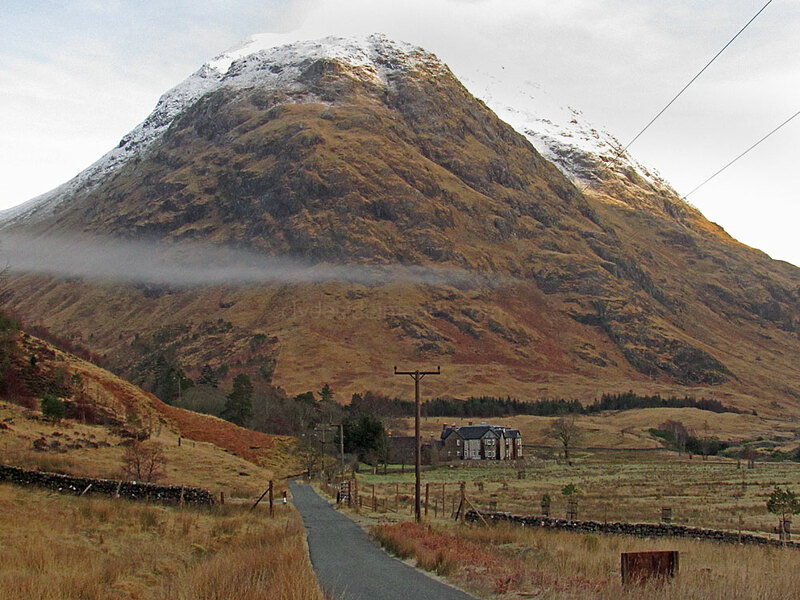 I opted for the long walk in from Forest Lodge near Inveroran, rather than combining this hill with Ben Starav via its Glen Etive side. 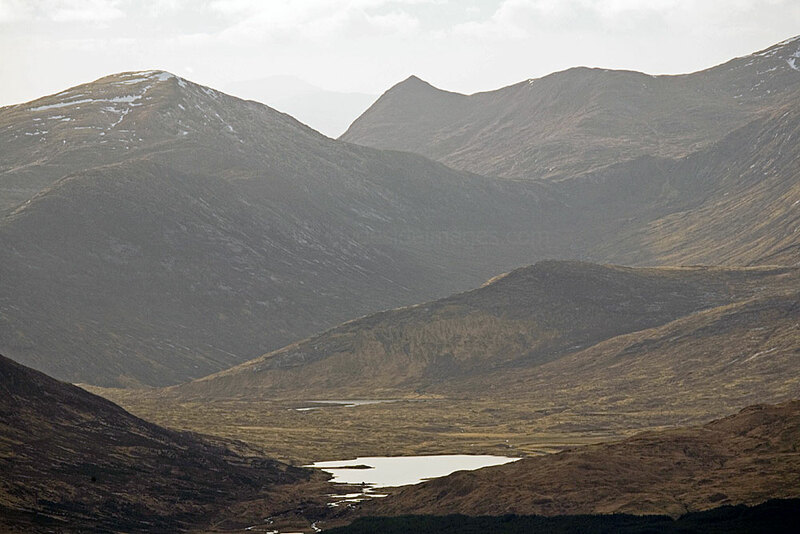 I set off early and followed the well used track to Loch Dochard. 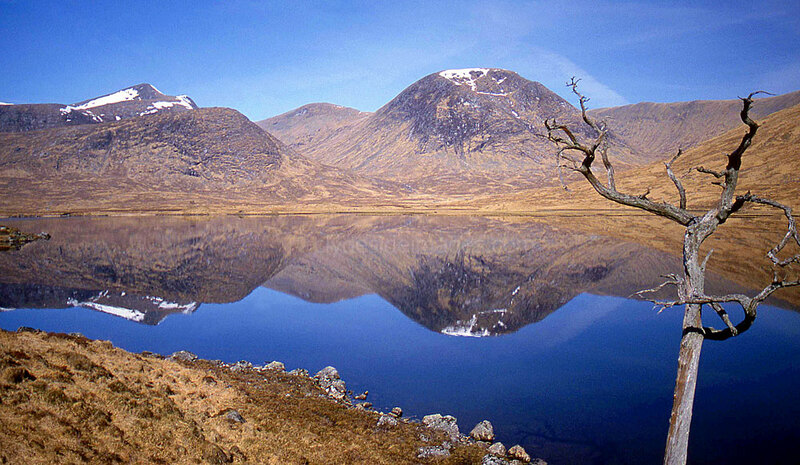 This wee loch makes a superb destination in its own right, especially on a wind-free day when it`s waters can hold stunning reflections of the surrounding peaks. 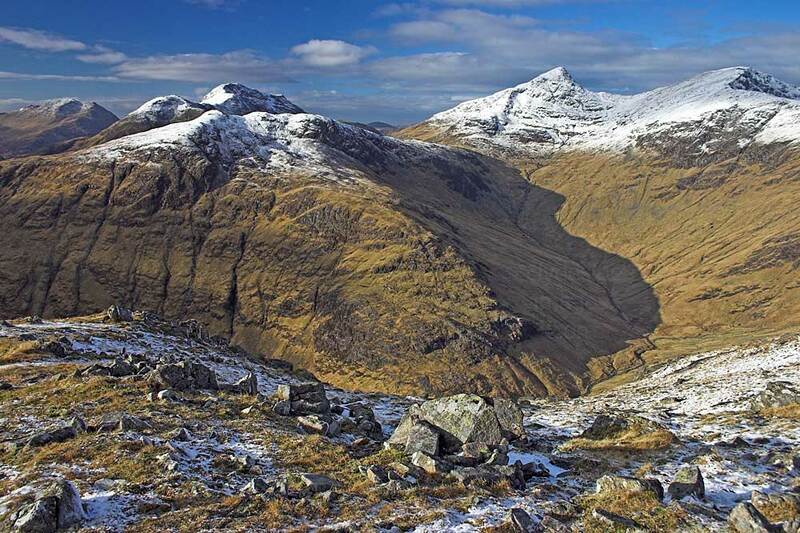 ​​On the far side the route to Kinglass Lodge skirts the lower slopes of Beinn nan Aighenan so after a short distance I veered off and reached the summit mid-afternoon. 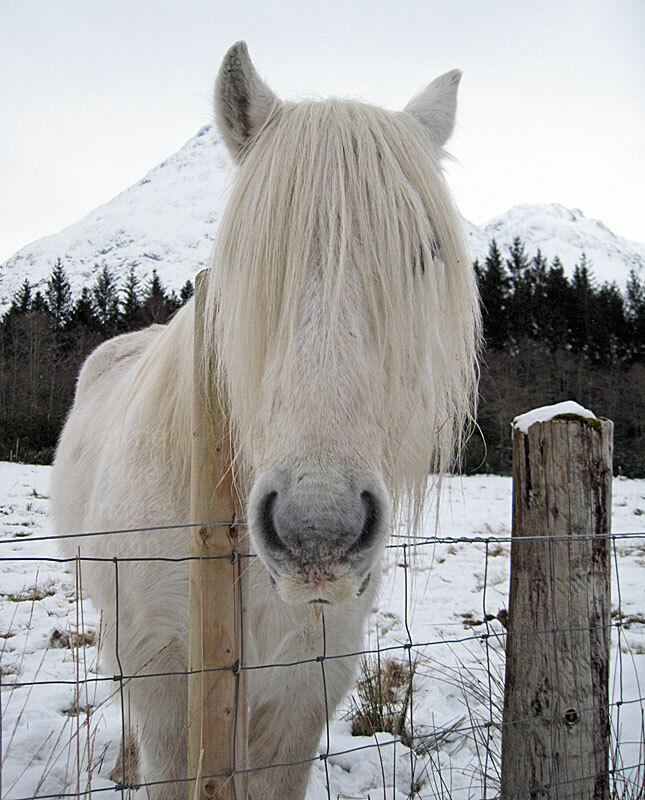 A heavy frost made for good going initially as the ground, especially after the loch, is usually very marshy. It became quite cloudy at the top but the views were still good with Mull visible in the distance. I began to race nightfall and ran some of the way on the return, arriving back at the car in total darkness. A twenty-six kilometre day! I took a spool of prints with my 35mm camera and was pleased with the results, however, none survive and I binned the negatives shortly before the digital era. `Trillichean`s name means `hill of the sandpipers.`It is a superb mountain, just below Munro height, which towers above the loch`s western shore at its head and is famed for the climber`s playground of the Etive Slabs, a 200 metre sweep of granite which offers some of the finest friction routes in the country.